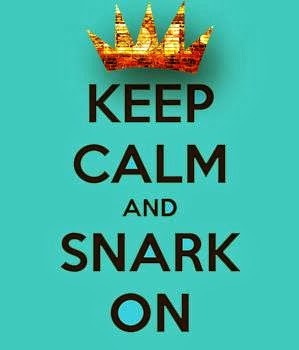 Greetings snarky pals!! Thanks for stopping by to check the latest SoSS challenge! 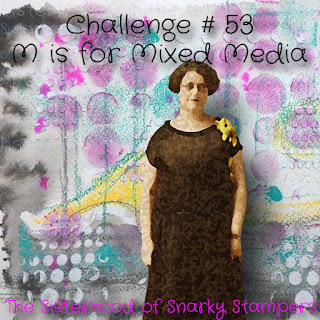 If you think Edna is looking a little discombobulated this week, have no fear, she is getting into the spirit for the M is for Mixed Media challenge. Unlike some of my snarky sisters, I am NOT great at mixed media, I find I do so much overtop of other stuff you can't tell what I started with (sometimes that's a good thing). I was thumbing through my Compendium of Curiosities (Volume II) for inspiration and came across something I thought I would be able to recreate and personalize. 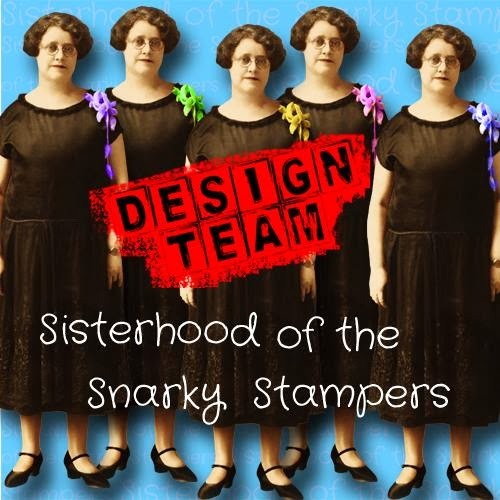 Check out page 74 if you want to see Tim Holtz's original project. Hubby and I got married on March 17, 2007, hence the March calendar, the arrow pointing to the 17 and the bigger 17 in the corner. We went to Nevada and Arizona on our honeymoon, found a wee Nevada license plate, added that on. I had fun making the background, I started with a page from an old thesaurus, inked it up with four different distress inks then stenciled over that, you can almost make out the honeycomb stencil in the background in green. 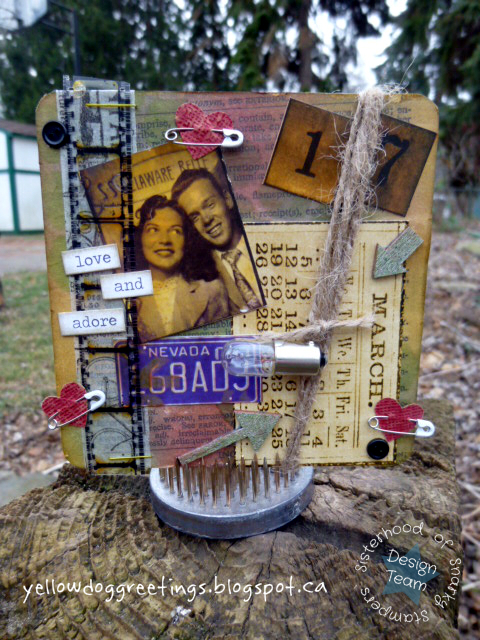 The fun part about mixed media projects is you can just keep adding more and more stuff until you are happy with it. I like mine to look distressed / grungy / messy and crowded. This is no time for CAS! I had so much fun making this I see some more in my future! All in all this took just under an hour to make. PHEW!!!! That's a LOT of stuff to use on a 4x4 coaster huh??! 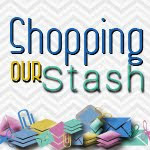 Visit the SoSS BLOG for all the details on the challenge and while you are there please share some crafty love with our guest designer and the rest of the sisterhood. As always, we would LOVE for you to play along with us!! I loved your mixed media coaster before, and now that I read the back story, love it even more! This is amazing! Hmmmm, honeymoon in Vegas?!! And whaaaa????!!! Only an hour to make? Mine took like 4 or 5 days! LOL! Looks great, Donna. Loving ll the bits and pieces. I got married in March too, but I didn't get a honey moon. He still owes me!